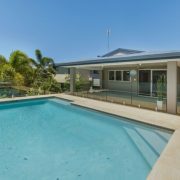 This magnificent beachside residence has been meticulously renovated and only an inspection will truly reveal the quality on offer. From the moment you enter this striking home you will be completely overwhelmed with the sheer size and class of this property. This spectacular home boasts 5 bedrooms, a study, 2 luxurious bathrooms, and a centrally located gourmet kitchen with stone bench tops, Miele appliances, soft closing doors and a gas cooktop. The stunning timber floors give that beach feel that is often lost in many of the new homes built today. The home is an entertainers dream offering 2 outdoor entertaining areas with one huge covered balcony overlooking the sparkling inground pool. 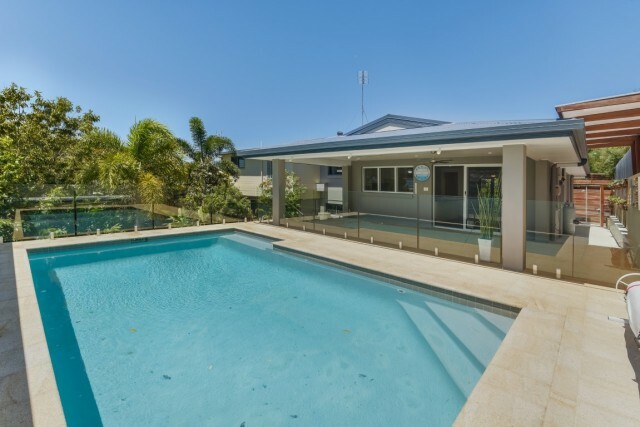 The clever use of louvres throughout the home allows the fabulous Sunshine Coast climate to be enjoyed all year round. The unique design provides the option of dual living with the downstairs area featuring a separate living area, bedroom, bathroom and separate entrance. With beautifully landscaped gardens and off street parking for a large boat or caravan this property really does have it all. 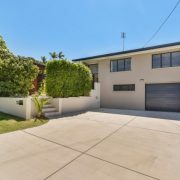 With a park at the end of the street and the Moffat Beach café strip and famous surf of Moffat all within walking distance the lifestyle on offer is second to none. 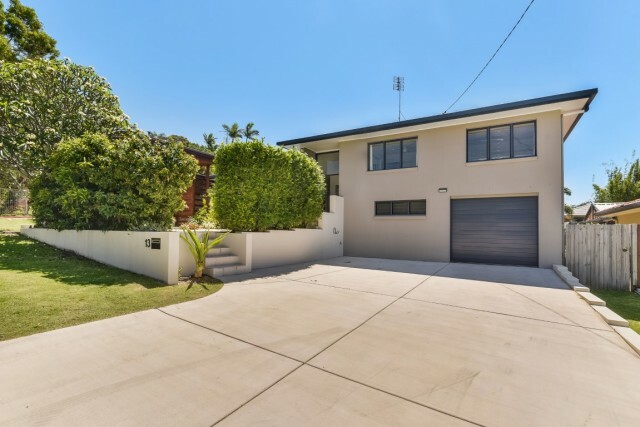 Don’t miss this unique opportunity to own such a beautifully renovated family home that represents exceptional value.